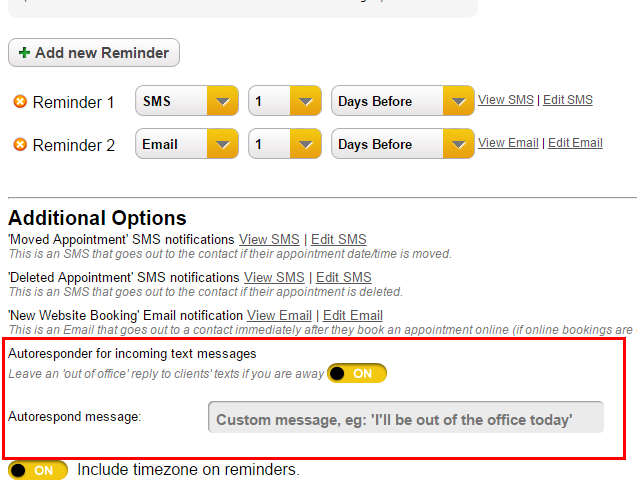 We’ve added an SMS auto-responder function for vacation/out of office time. When clients message you while you are away you can set an automated custom response to let them know you’re away from the office. To set it up go to Settings > Reminder Settings. At the end of this page you can toggle on an auto-responder for incoming SMS messages and customize with a short message. Remember to turn it off when you’re back in the office!